Corolla is a unique destination that borders both the Atlantic Ocean and the Currituck Sound, allowing visitors to access to the salty ocean waves, the calm kayak-worthy sound waters, and the idyllic maritime forests that lie in between. The outskirts of the village are dominated by an assortment of rental home communities, with vacation homes ranging from the modest 3 bedroom beach cottages to luxury oceanfront vacation homes with private pools and unlimited amenities. Most vacationers book a vacation rental home, which is rented in 1 week increments, and can vary from 2-18 bedrooms. Due to the growing upscale reputation of the area, many of these homes offer a variety of luxury amenities such as private heated pools, hot tubs, game rooms, plush theater rooms, internet access, and easy beach access. A number of reputable vacation rental management companies service the area, so there is generally a wide selection to choose from. 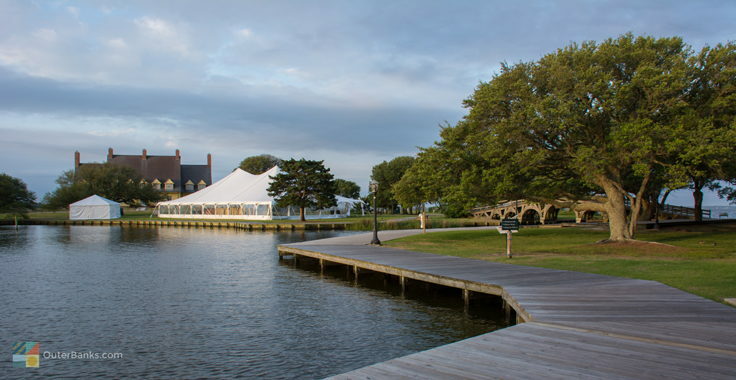 The grandiose nature of these vacation homes make them ideal for special events as well, such as Outer Banks weddings, or corporate retreats. 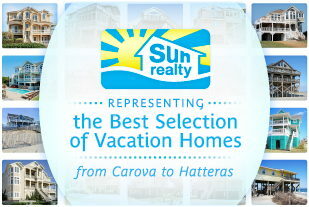 The following are companies offering vacation rentals in Corolla. Corolla's wild Horses - Roaming the Northern beaches of Corolla and Carova, this herd of Wild Colonial Spanish Mustangs is perhaps more popular than the Currituck Beach Lighthouse or Whalehead in Historic Corolla. Visitors can find the horses along the beach and within the community of Carova. A 4x4 vehicle is required to access this rather remote area. Guided tours are available in specialized vehicles. 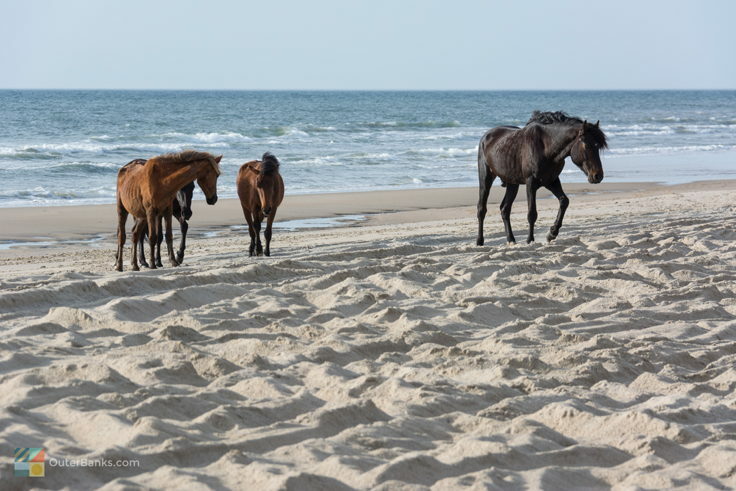 The Corolla Wild Horses have been a draw to vacationers for decades, as their mystique and centuries old legacy is simply unmatched on the local OBX coastline. Added to this is the romantic idea of a beach vacation that's truly wild, with mustangs who travel up and down the Carova beaches with ease and absolute abandon. It's no wonder that popular fiction and movies, such as the recent release of "Nights In Rodanthe" has romanticized their presence, and why so many vacationers fall in love with the wild horses and make a visit to the Corolla Wild Horse Fund every year to find out how they can help. It is important to remember that the Wild Colonial Spanish Mustangs are, infact, wild. Do not approach within 50 feet of the horses, or feed them. Wild horses cannot digest fruits and vegetables like domesticated breeds. Close interaction is dangerous to both humans and horses. Whalehead in Historic Corolla - Completed in 1925, the sprawling lemon yellow Whalehead in Historic Corolla has served a number of purposes during its decades of operation, including housing a private school for boys and acting as a rocket fuel-testing base. 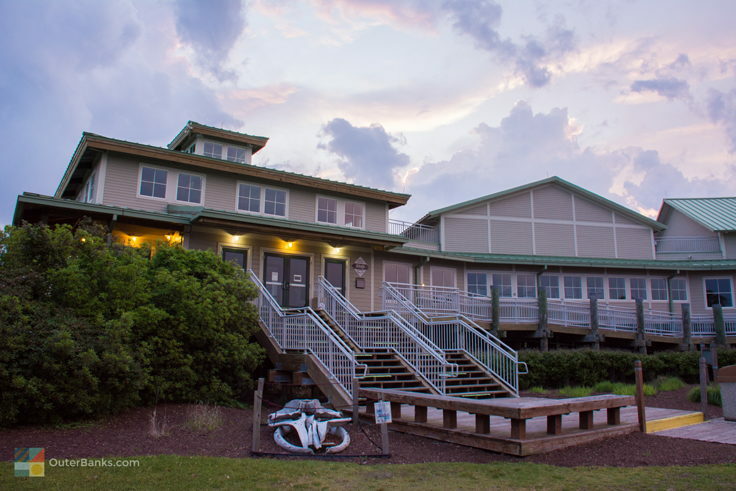 Today, the Whalehead in Historic Corolla is one of Corolla's best attractions, offering seasonal guided tours, 39 acres of picturesque landscape for picnic baskets, and special facilities for weddings and special events. Seasonally, you'll find a number of the area's best events on the premises, like the weekly Wednesday wine festival, where visitors are encouraged to sample North Carolina's best wines and local foods while listening to a little live outdoor music. 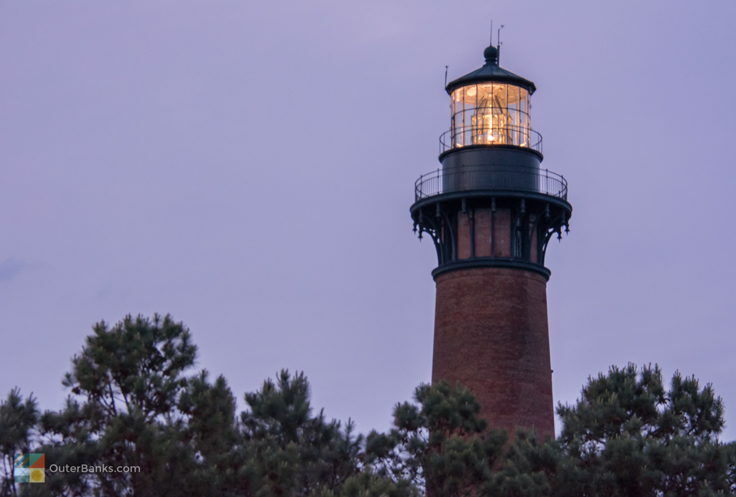 Currituck Beach Lighthouse: Vacationers with stamina are welcome to trek up the 214 steps to the top of the Currituck Beach Lighthouse for unparalleled 360 degree views of the Outer Banks. The historic and distinctive red lighthouse is open seasonally to visitors from 9a.m. to 5p.m., and the wooded grounds, which include the original light keepers home, is idyllic for a bike ride or a stroll through the live oaks. As one of the last testaments to Corolla's early roots as a local seaside community and guardian for sailors travelling past the Outer Banks, the lighthouse is a must on every visitor's list. 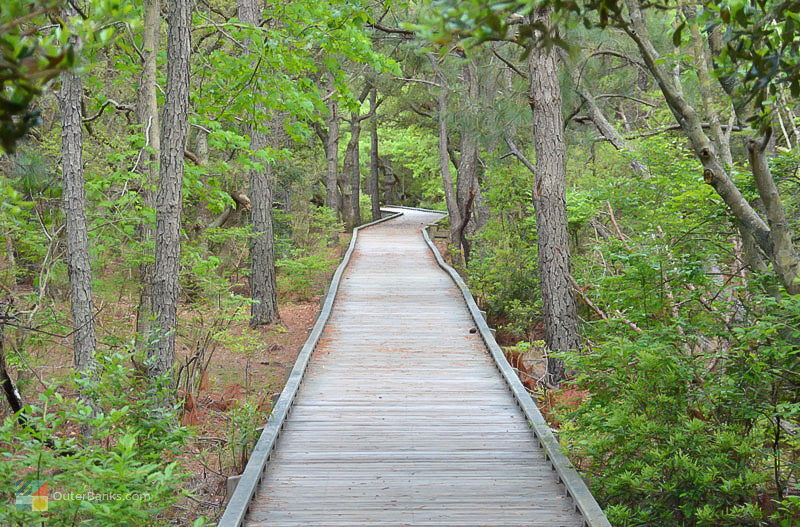 Center for Wildlife Education - Located i Historic Corolla Park, the center is an impressive and marvelous 22,000 square foot interpretive center for young and old alike to explore the history and vast diversity of North Carolina's wildlife. One of the key displays is a massive living aquatic ephemera of fish, native to the region, housed in an 8,000 gallon aquarium where families can get up close and personal with a rich variety of finned swimmers. "You have to remember we have a variety of marine eco-systems here. The ocean, the sound and an estuary so it is pretty diverse. Watersports and Outdoor Activities - For those who crave a little more outdoor excitement, there are a number of water sport rental and instruction companies that cater to Corolla. Specialty shops offer rentals and lessons for corolla-surfing, ocean kayaking, SUP (stand up paddle boarding), and kiteboarding for vacationers who want an adventure on the water. 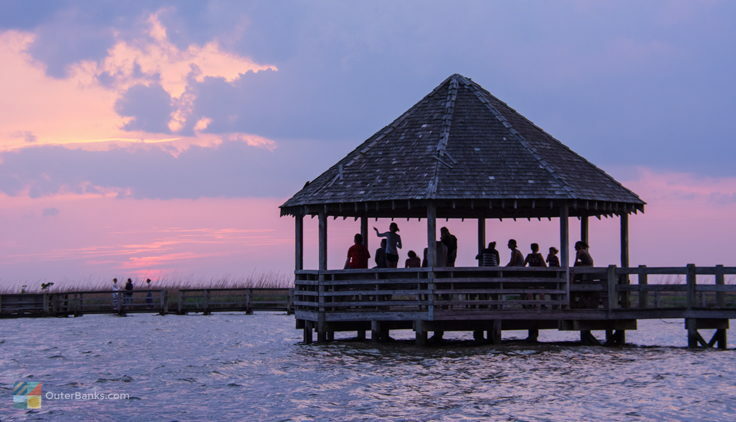 For a relaxing outdoor excursion, take in a guided kayak tour of the Currituck Sound for a lazy sunset and an evening surrounded by egrets and Blue Herons. Shopping - The heart of Corolla is a mini shoppers' paradise with a small number of shopping complexes, such as The Shoppes at the Currituck Club, TimBuck II, Monteray Plaza and Corolla Light Town Center, which offer both chic boutiques for souvenirs, and national chain grocery or staple stores for necessities. 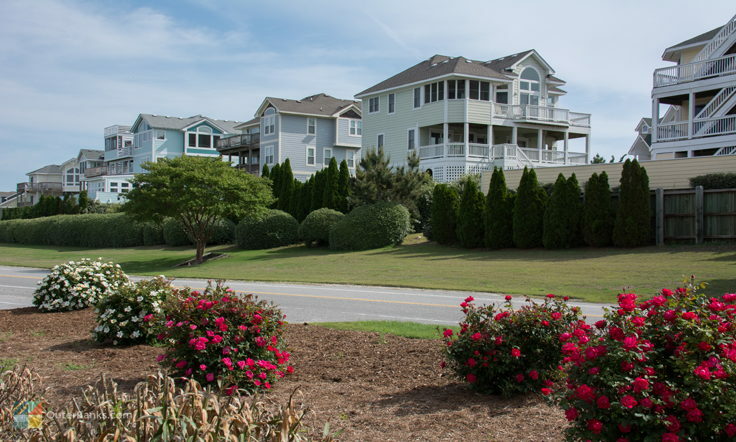 There are a couple hotels in the area for short stays, but most of the accommodations in Corolla are vacation rental homes which generally rent on a weekly basis, and are scattered throughout the area. Essentially, Corolla vacationers have the option to stay close to the shopping, dining, and activities of Corolla, or relax on the outskirts of the more developed center, in relative privacy. Dining - After dark, there's a wide variety of restaurants to take in a quick North Carolina BBQ platter, have a pizza delivered to your vacation rental home, or enjoy a five course waterfront meal. Entertainment from karaoke to local bands is seasonably available, and provides an outlet for Corolla night owls. 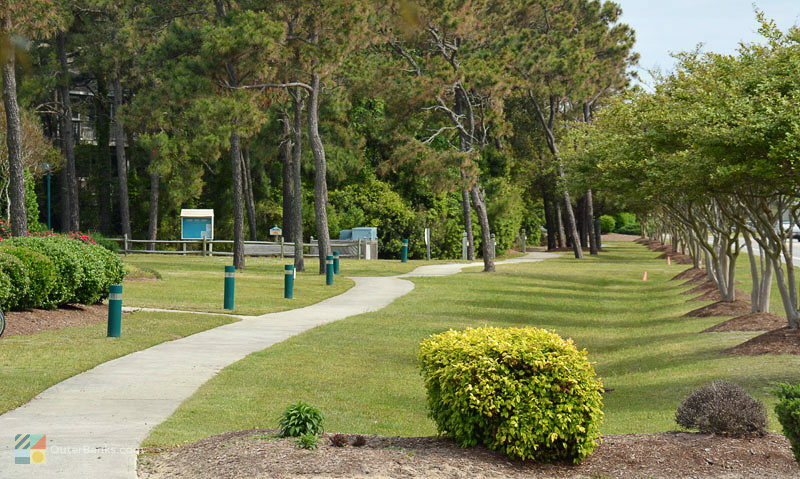 Golf and Amusements - Out of the water, Corolla offers an 18-hole golf course, a skate park, putt-putt courses, and soundside nature trails to keep vacationers entertained. Starting in 2018, parking on Carova beach requires a permit from the Friday before Memorial Day until 11:59pm on Labor Day. Parking permit information can be found here. Driving on Carova beach does NOT require a permit. Visitors only need the permit to park. Dogs are allowed on Currituck County beaches all year. They must remain on a leash. There is no leash length requirement. Fireworks and beach bonfires are not permitted in Corolla. 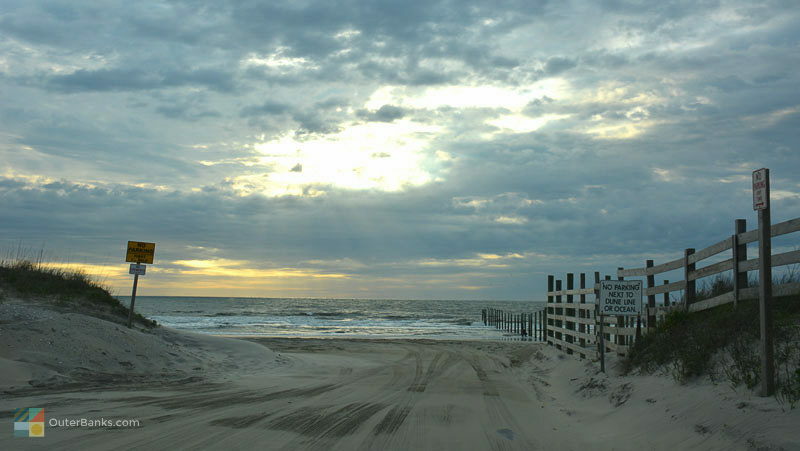 4x4 vehicles can access the beach at the Northern end of NC 12 where the paved road ends. 4x4 access North of this point is permitted year round. 4x4 access South of this point is permitted between October 1 and April 30. Driving at night is allowed. Overnight parking is allowed if the occupant is actively fishing. ATV's allowed for residents with permit. Corolla wasn't always the vacation hotspot it is today. 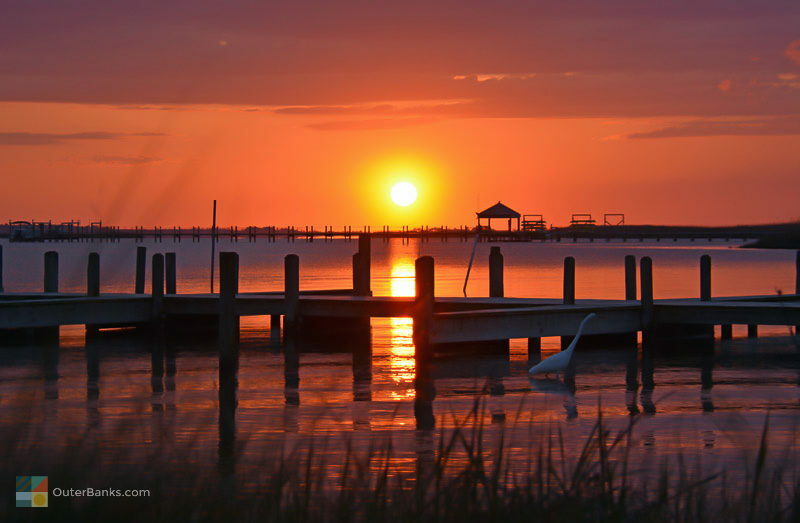 The village was discovered, along with its neighbors Duck, Carova, and the Currituck mainland, in the late 1600s by a handful or European settlers, who stayed on the island to carve out a community by the sea. Corolla became official town name when the local post office took root in the late 1800s. For several centuries, Corolla remained an undisturbed home to a few hardy locals, and in the late 1800s, the population grew slightly as lifesaving stations, like the Jones Hill Life Saving Station, were constructed to help sailors navigate the oftentimes treacherous waters off the North Carolina coast. 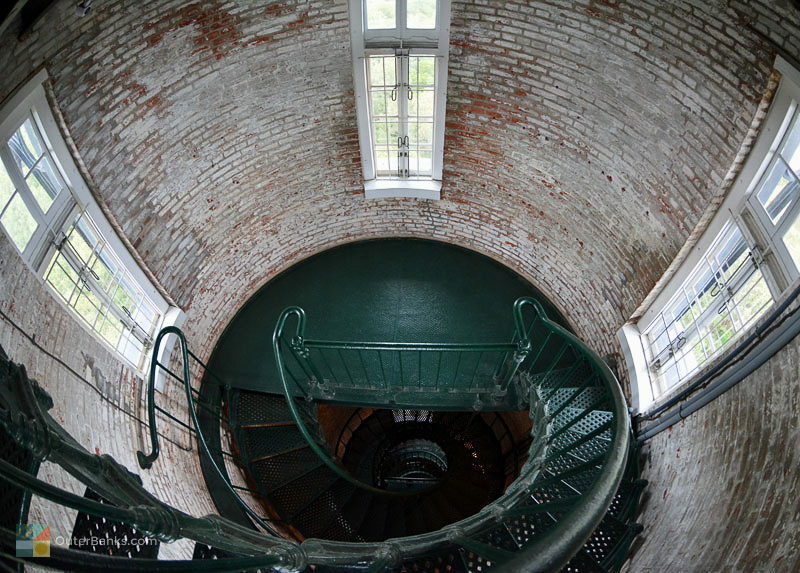 In 1873, construction began on the distinctive red brick Currituck lighthouse. Completed and in operation just two years later, the lighthouse literally served as a beacon to countless sailors cruising the dangerous northern stretch of Diamond Shoals. 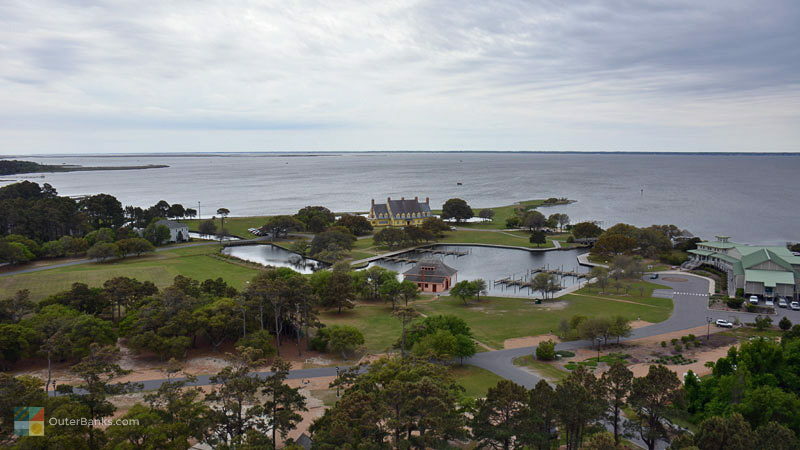 A few decades after the Currituck lighthouse was constructed, Corolla received a minor population boost in the form of two of Philadelphia's wealthiest residents, Edward and Marie Louise Knight. In 1922, the couple began work on their luxurious seaside home, known today as the "Whalehead in Historic Corolla," and invited and hosted their friends on local hunting and fishing exhibitions. Despite the popularity within the Knight's inner circle, Corolla was still relatively unknown for the next 50 years, frequented only by daring vacationers who were willing to drive miles past the more popular areas of Nags Head, Kill Devil Hills and Kitty Hawk down clay and sand trails that were unpredictable and barely functional as roads. In fact, there wasn't a legitimate road to Corolla until 1984 when NC Highway 12 was finally extended to the village, and development finally began to boom. The growth was slow at first, with a handful of communities like Ocean Sands and Whalehead popping up along the beaches, but by the late 80s, more and more developers had discovered the area. 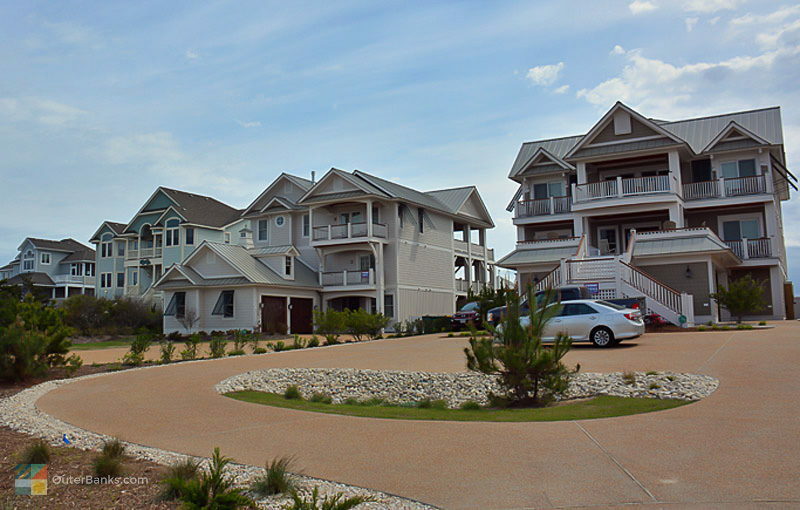 Over the next three decades, construction in Corolla surged, and the town became home to several hotels, resorts, grocery stores, restaurants, and shopping centers. Yet despite the developing interest, and thanks to a vocal local community, Corolla was able to maintain its status as a small town beach community, without the grander development of other North Carolina beach towns. Because Corolla accommodations are both limited and popular, it's important to book your stay well in advance. 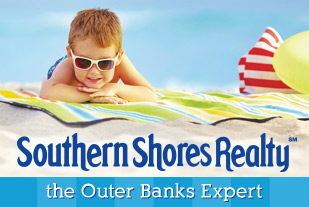 Search local vacation rental companies early to ensure the best selection. 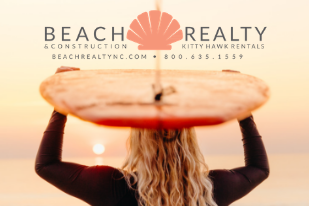 Traffic on the two-lane NC Highway 12 can be busy on summer weekends, so be prepared for minor delays when traveling, The reward is a vacation stocked with gorgeous beach days and plenty to do off the sand. Restaurant reservations are generally not be required, but might be recommended a few days in advance during the summer months. With grocery and beach supply stores within a couple miles, it is not necessary to pack a lot of extras, and concierge services are available to have your beach necessities waiting for you when you arrive. Be sure and ask your rental company about guidelines for special vehicles, such as RVs and campers, as these may not be allowed in your beach community. Above all else, for vacationers on a budget, don't discount the off-season - the temperate beaches of North Carolina in the Fall and Spring shoulder seasons offer lots of secluded beaches, plenty of local attractions, and lots of open businesses at a better rate. 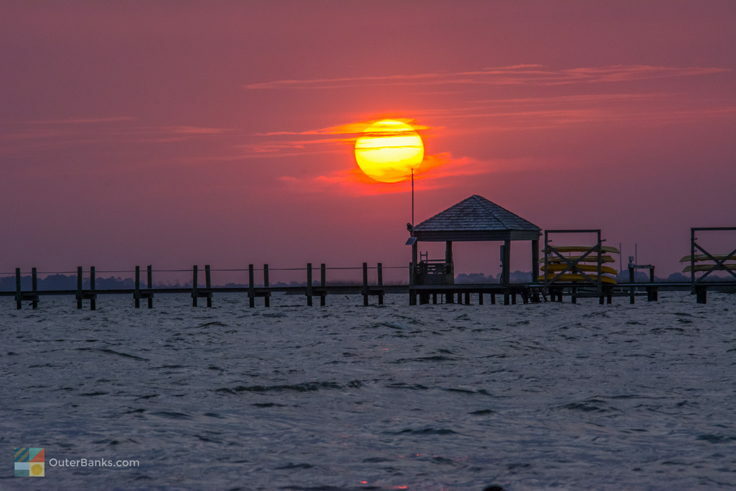 Corolla may have gained national attention as one of America's best secluded beaches with upscale amenities and luxurious accommodations, but thankfully, Corolla still retains its small beach-town charm that attracted Outer Banks visitors in the first place. For vacationing families who want plenty of sand to spread out, but would like to still enjoy the amenities of a resort beach community, Corolla is an ideal vacation destination. 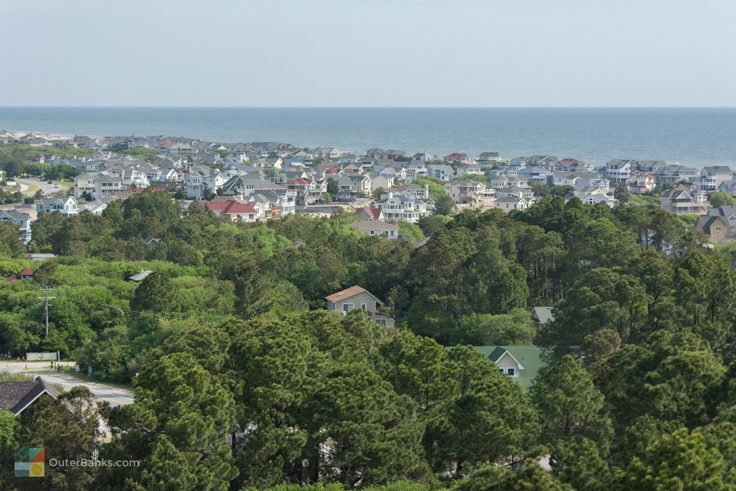 Corolla is located in the northernmost region of the Outer Banks, just north of the town of Duck, and just south of the 4WD beaches of Carova. 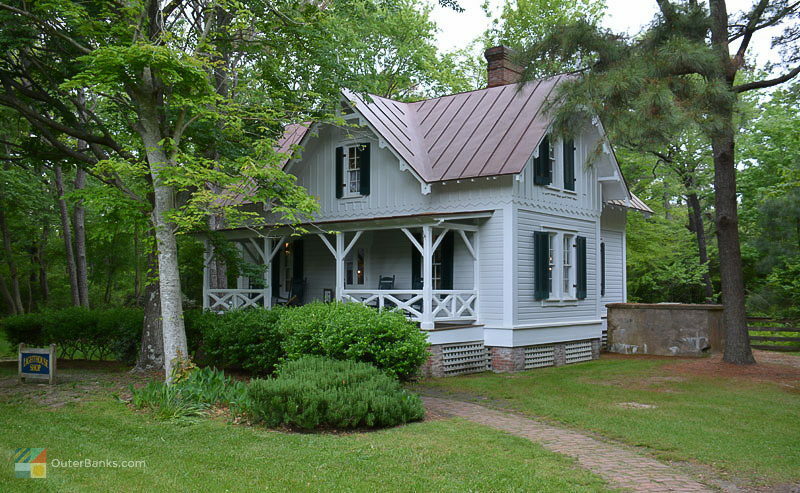 It is part of Currituck County, and is accessible via Highway 12 North. How do you pronounce Corolla, NC? What is Corolla known for? Corolla is known for its miles of beaches, as well as its array of restaurants, shops, and historic attractions. Corolla is also the home of several popular Outer Banks attractions, including the Currituck Beach Lighthouse, the Whalehead Club, the Outer Banks Center for Wildlife Education, and the Wild Horse Museum. What is there to do in Corolla? Most of the fun in Corolla revolves around the beach, as the town is known for great swimming, surfing, fishing, shelling, and miles of uncrowded shorelines to go around. 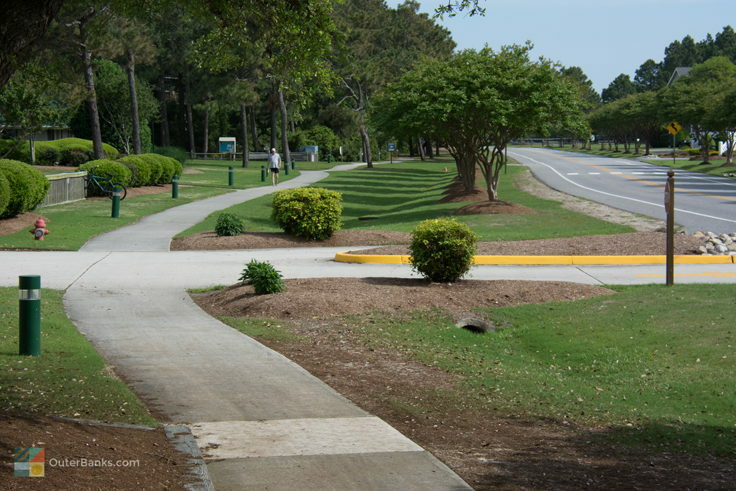 Corolla also has a number of shops and restaurants, bars and nightlife venues, and several attractions including the Currituck Beach Lighthouse and the historic Whalehead Club. What are Corolla’s top attractions? 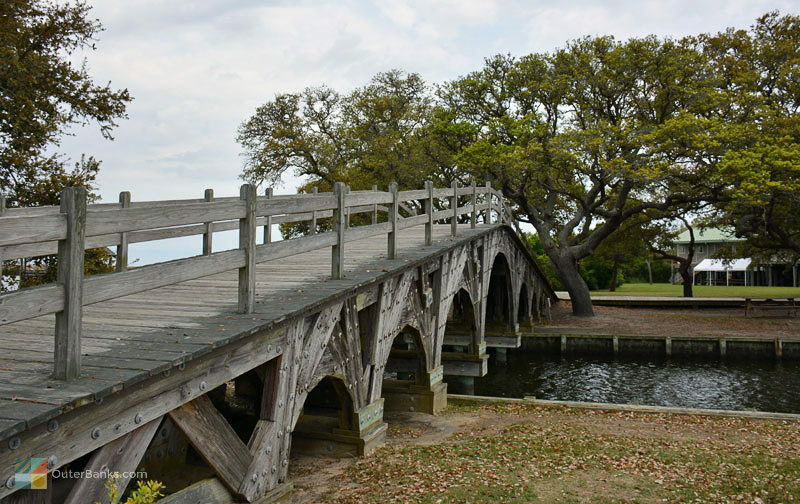 Corolla’s top attractions are the Currituck Beach Lighthouse and the adjacent Whalehead Club and Historic Corolla Park. Other sites of interest include the Outer Banks Center for Wildlife Education, the Wild Horse Museum, and the Currituck National Wildlife Refuge. Where are the beach accesses in Corolla, NC? In addition, many private communities have their own beach accesses and / or tram service to the beach. Are pets allowed on the beach in Corolla, NC? Dogs are allowed on the beach all year long in Corolla, provided they are on a leash at all times. Owners must also clean up after their pets while on the beach. How do you see the wild horses of Corolla, NC? The wild horses can often be spotted in the 4WD beaches that are located just north of Corolla. There are also several Corolla tour companies that provide excursions to remote areas where the wild horses can frequently be found. Can I drive on the beach in Corolla, NC? There is no beach driving allowed within the town limits of Corolla, however visitors can drive on the 4WD accessible shorelines just north of town. A 4WD ramp is located on the end of North Beach Access Road, off of Ocean Trail in Corolla. Do you need a permit to drive on the Corolla beaches? You do not need a permit to drive on the beaches north of Corolla. However, you must have a 4WD vehicle, and you should air down your tires to roughly 15-20 PSI before driving on the sand. See our article about driving on the beach. When is the best time to visit Corolla? The summertime is the most popular time of year to visit Corolla, due to warm air and ocean water temperatures. Many local businesses including restaurants and shops stay open from the spring to the fall, however, and the “shoulder seasons” generally offer cheaper accommodations than the peak summer months. What are the average air temperatures each month in Corolla? Where can you stay in Corolla, NC? 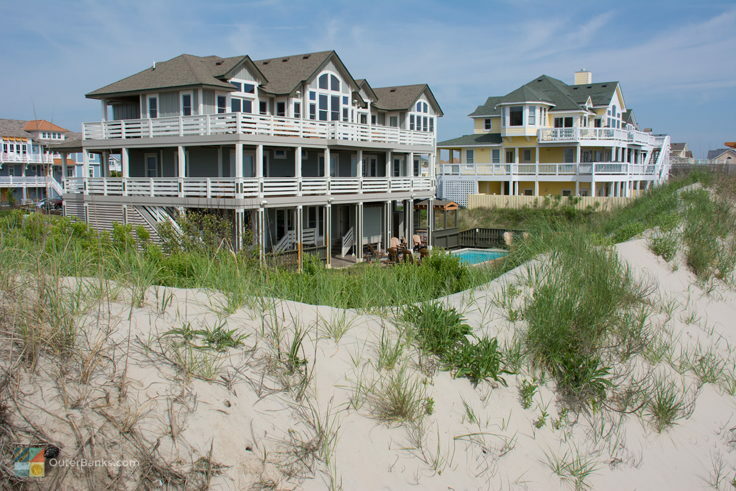 Most visitors in Corolla stay in vacation rental homes or condos, which are rented on a weekly basis by area property management companies. 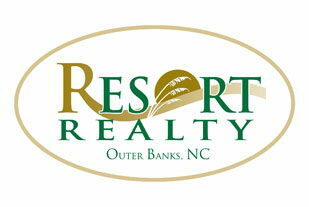 In addition, there are several chain hotels and locally-owned hotels or motels in Corolla. There are no campgrounds in Corolla.